The passing of Fidel Castro is being mourned by some and celebrated by others, but one thing that can’t be denied, even by his detractors, is that the Cuban leader had a major impact on the world. The Cuban Missile Crisis and the alliance Castro forged with Russia have perhaps been cited more so than anything else in the media obits published today. Much less attention is being given to the Cuban health care system that became a model for the world to emulate, although the New York Times does touch on it briefly. She removed her glasses and pointed at her eyes. “I have the revolution and Fidel to thank for this cataract surgery,” she said, adding that she would not have been able to afford the procedure without Cuba’s socialized medical care. It did not cost her a cent, she said. 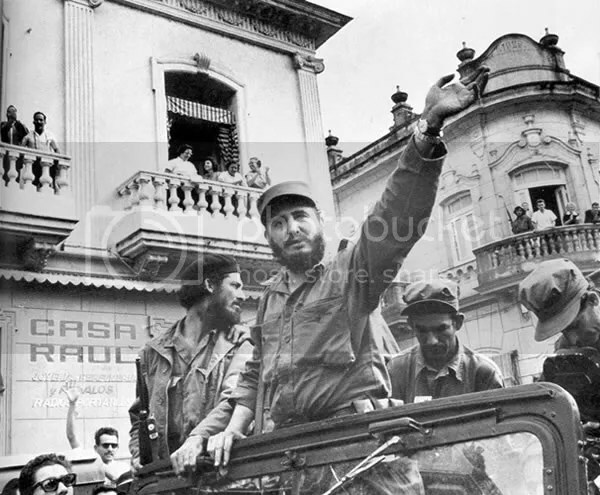 Back in the 1990s when I was doing work for a radio station in California, I frequented the Cuban website Granma, which posted commentaries by Castro on various issues. In addition to the US-imposed economic blockade, the Cuban president often addressed issues in the wider world at large, including the conflict between Palestine and Israel–and he was a vocal, outspoken supporter of the Palestinians. 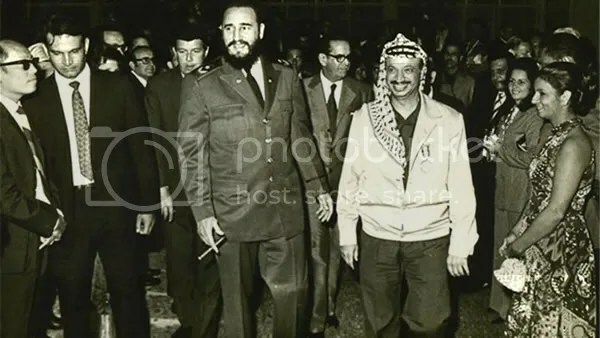 Cuba extended recognition to the PLO when it was founded in 1964, and Yasser Arafat made several trips to Cuba, where he was welcomed as a legitimate head of state. “The Cubans trained Palestinian cadres, and Fidel himself was a staunch advocate of the Palestinian quest for freedom and independence,” said Mansour Tahboub, former acting director of the Arafat Foundation. And Angola, where Cuba sent 25,000 troops in 1975 to back the Peoples Movement for the Liberation of Angola. The MPLA succeeded in overthrowing Portuguese rule in Angola. Most of us think of “regime change” as something done by the US, but Cuba did it too. The 1970s basically brought about the end of colonialist rule in much of Africa, and many of the revolutionary movements supported by Cuba ended up overthrowing regimes backed by the US–which probably had a lot to do with why the US so obstinately and belligerently maintained its economic embargo over Cuba for as long as it did, this in the face of overwhelming support for Cuba shown by much of the rest of the world. In fact, it got to be something of an annual theater of the absurd at the United Nations, where every year, going back to 1991, the General Assembly would voteon a resolution calling for an end to the US embargo. Year after year the countries of the world, by a lopsided majority, voted in favor of the measure, with the US and Israel often casting the lone votes against. Although it’s just speculation on my part, Cuba’s success at regime change may well have been the inspiration for the Oded Yinon plan, which was adopted by Israel in 1982. The timing, at any rate, would seem to be about right. The US managed to assassinate Castro’s fellow revolutionary, Che Guevara, in 1967, but they were never able to assassinate Castro himself despite numerous efforts (some say as many as 600 attempts ) . This is an accomplishment in its own right. Whether you love him or hate him, what can’t be denied is that Fidel Castro profoundly shaped the world we live in.